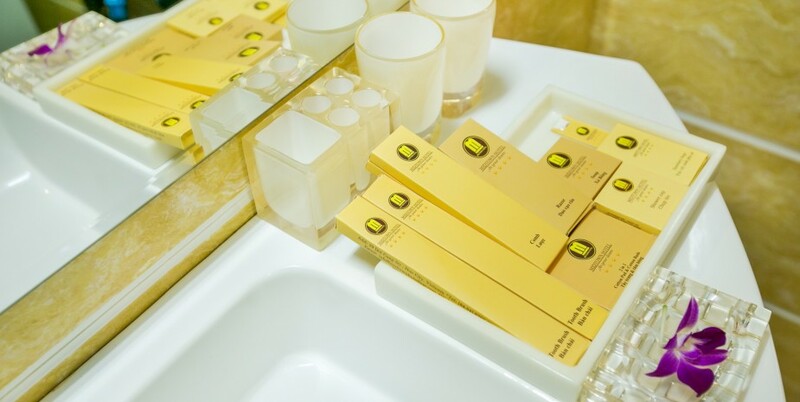 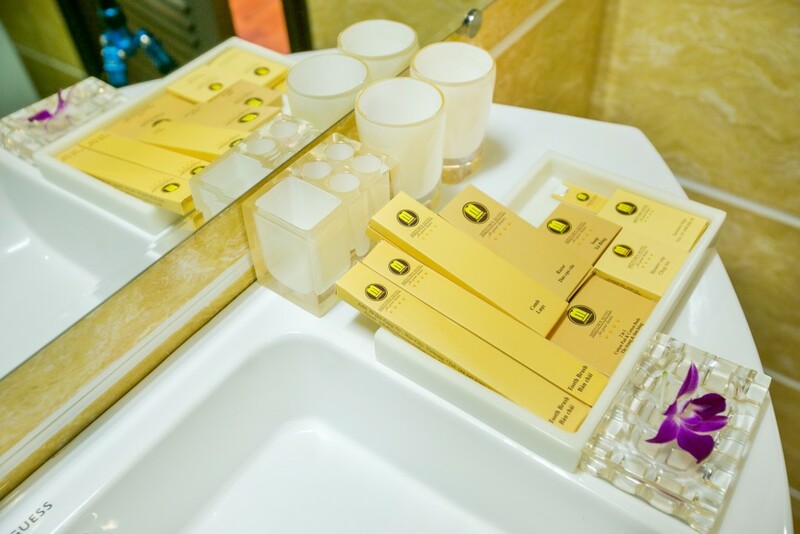 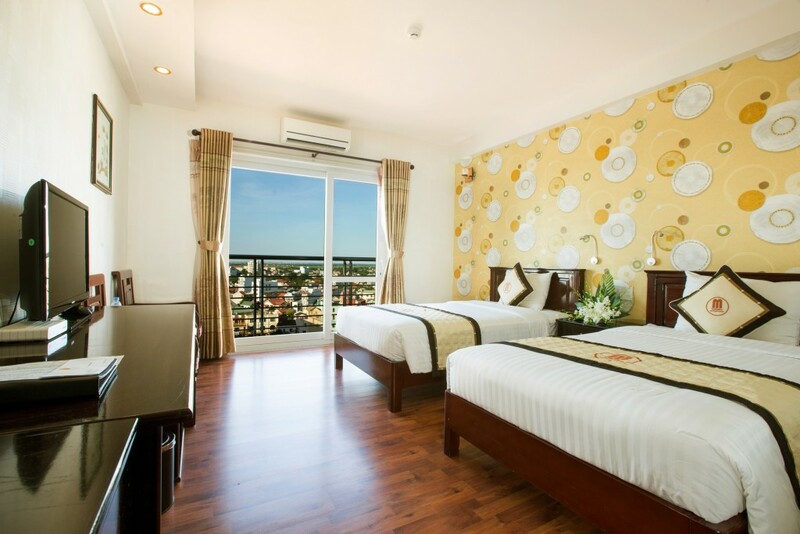 The Deluxe City View rooms are located from the second floor to the tenth floor of the hotel. 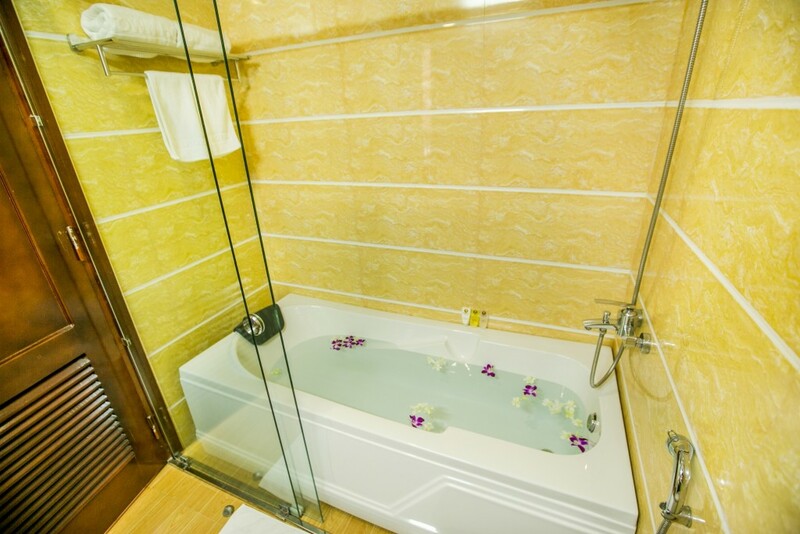 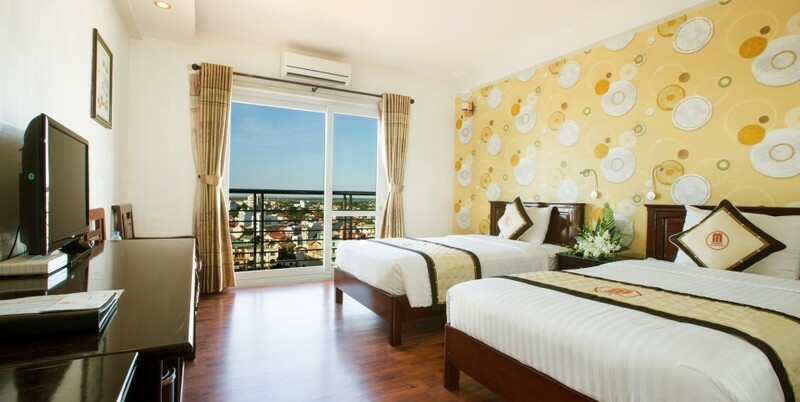 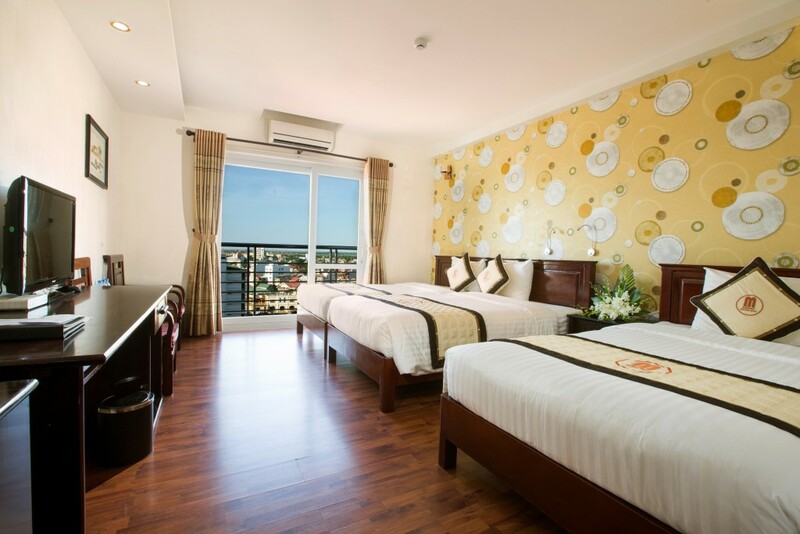 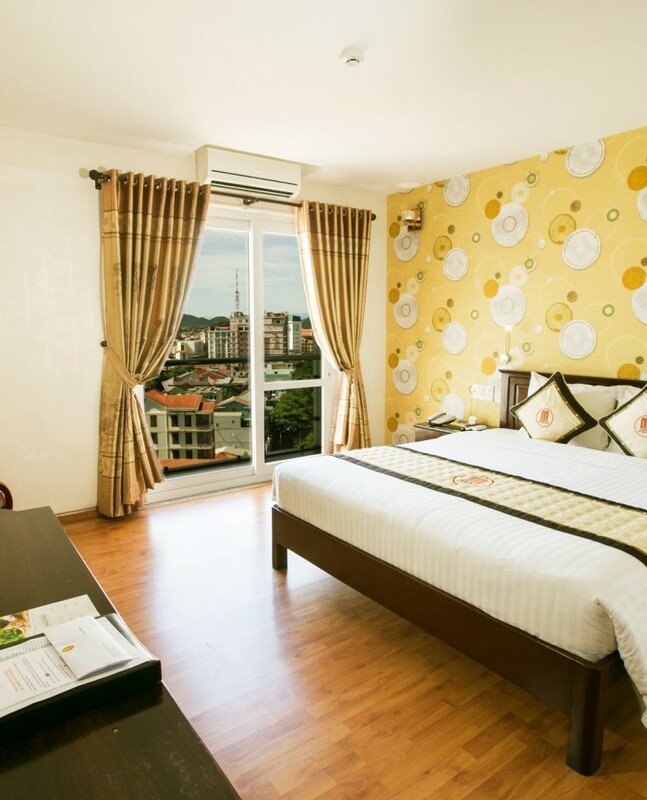 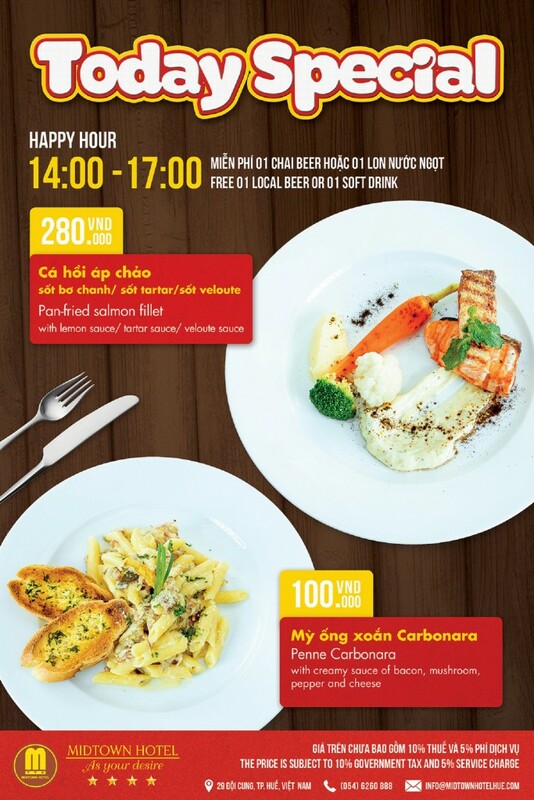 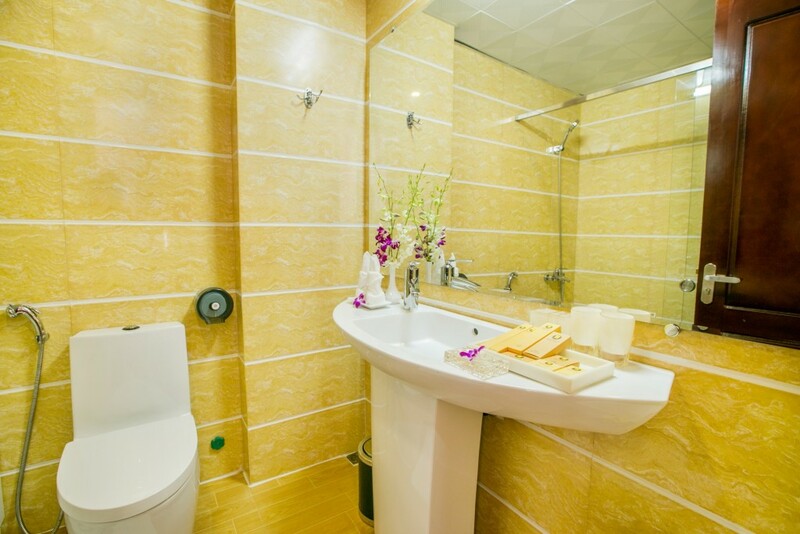 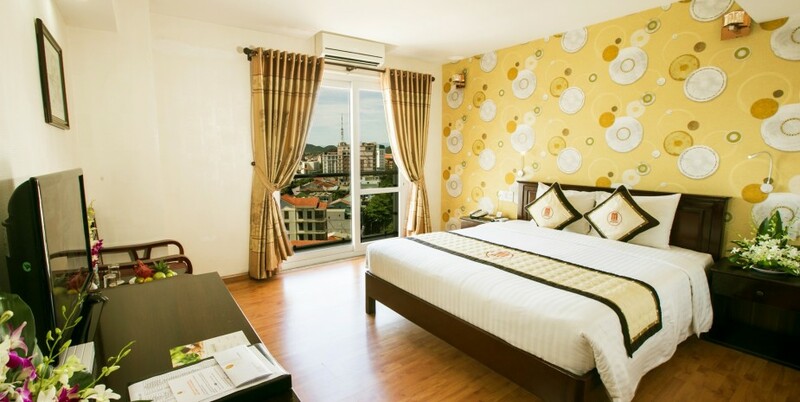 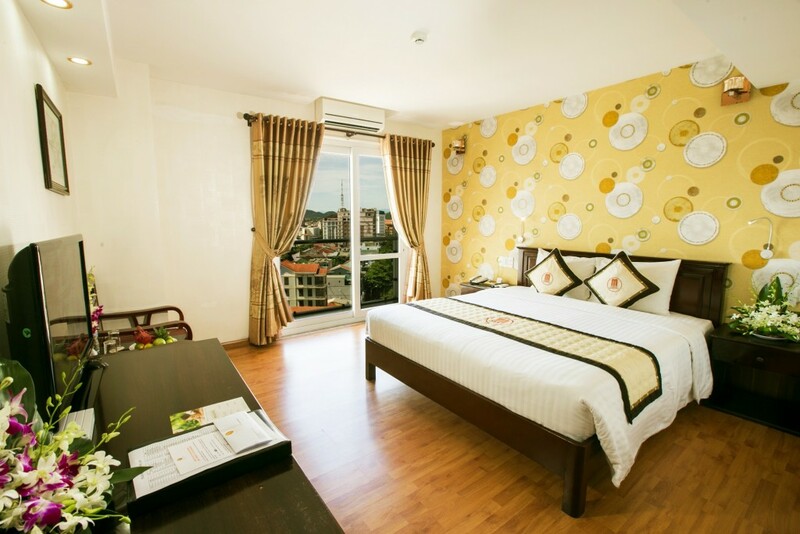 The room is 32 sqm in size, some are with private balcony, overlooks the wonderful view of Hue City. 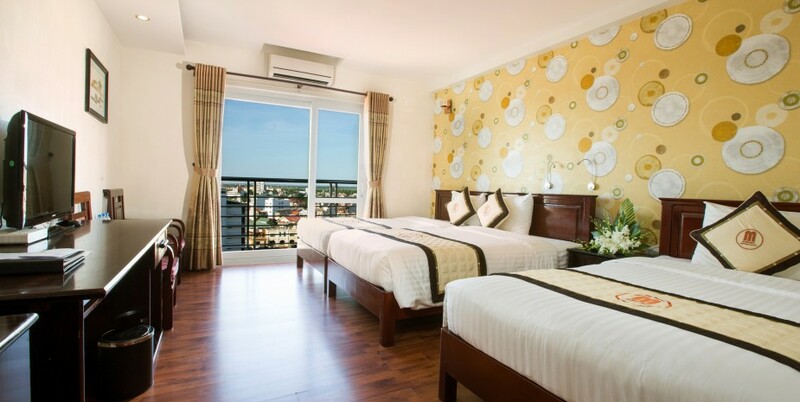 This room type has some bedding configurations: queen bed for single or double occupying, twin beds, double bed and a single bed, or three single beds. 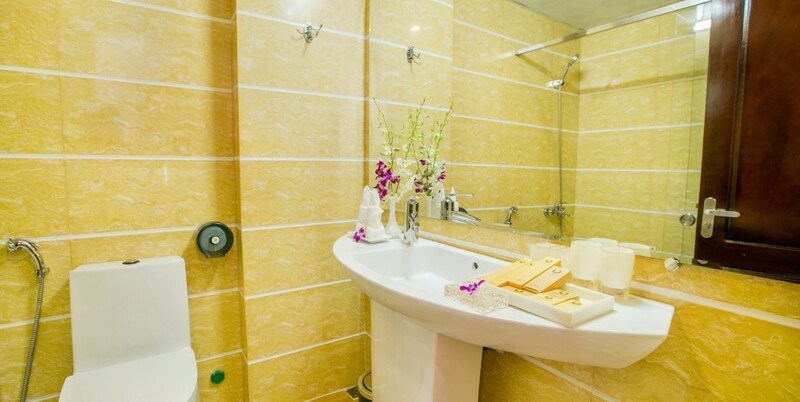 – The wooden-floored and paper wall bedroom, marble-floored bathroom contains plush bathrobes, toiletries, a bathtub.